Other than Ronald Reagan, no Republican elected official has had a more positive impact on actual public policy of a real conservative nature in my lifetime than former House Speaker Newt Gingrich. Yes, I am biased because he is a lifelong friend in whose campaigns I was once heavily involved. But it is through that unique background that I came to understand his brilliant mind and his rise to leadership. The Clinton "legacy" would never have been so strong had it not been for the sweeping victory of Gingrich and his fellow "Contract with America" Republicans in 1994. Gingrich and his fellow Republicans pushed Clinton toward welfare reform, a cut in the capital gains tax, and a temporary promise that "the era of big government" was over. But the story of how the GOP House came to bring impeachment proceedings against Clinton is one that should be told and reviewed as a case study in going against better political instincts. When the first rumblings of an effort to impeach Bill Clinton in late 1997 began to take hold, Speaker Gingrich was hardly what I would call a cheerleader for the effort. While Clinton had been reelected in 1996 with a resounding vote, Gingrich and his GOP majority held control of the U.S. House of Representatives. The GOP base was still strong even with the popularity of Clinton. But by the summer of 1998, the mood among various House Republican leaders was shifting. The explosive revelations related to Monica Lewinsky breathed new life into what had been a dying effort. Early on even Gingrich's own House Judiciary Chairman, Henry Hyde, had been ambivalent about the impeachment issue. Gingrich and Hyde realized that regardless of any House vote to impeach Clinton, the result in the Senate would have been exactly as it turned out -- a full complete acquittal on all charges. But with the groundswell for an impeachment move, Speaker Gingrich began to listen to his troops, and as the autumn of 1998 approached Newt and Hyde were in full-swing impeachment mode as well. Recently, in a series about the 1990s, Newt Gingrich candidly noted that Clinton played the impeachment effort shrewdly, watching as measures such as the unveiling of a somewhat lurid report by Special Prosecutor Ken Starr worked not in favor of the GOP effort, but instead horrified parents of young children over its open access in a then-newly embraced internet. Clinton turned the "Starr Report" into an appearance of overreaching on the part of Republicans. Despite his decision to finally go full throttle on the concept of a Clinton's impeachment, Gingrich's effort did not cost Republicans control of the U.S. House in 1998. Still, Newt Gingrich was made to walk a political plank he should have never been forced to take. He resigned as the result of carping from an ungrateful group of GOP dissidents. One can only guess how much Clinton himself quietly resents today his impeachment in light of the antics of the Obama administration. But, for Republicans to do anything other than to wait out two more years of Obama would be a serious mistake that would rapidly move public opinion, that currently is slipping away from him on issue after issue, right back into his corner. 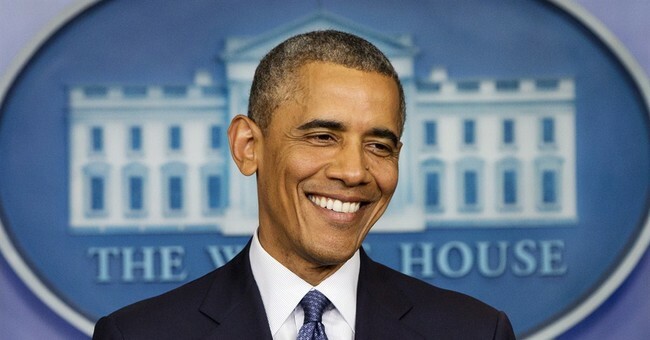 And what those who would push for an impeachment forget is that, like Clinton, Obama has a personality that has proved to be appealing to voters. The idea of stone-faced or ranting and raving Republicans prosecuting the glib and nimble Obama is one that evokes that same sick feeling that Republicans felt when they reached too far -- and by attempting to punish a president who was drowning in bad news, by throwing him a political life raft. Speaker Boehner appears to have the same instincts as Gingrich had early into the move to impeach Clinton. He can pursue lawsuits against Obama all he wants and likely do no damage to the GOP's brand. But if he starts hearing his troops call for an impeachment redo, he should give his old friend Newt a call. Last I heard Gingrich's brilliance now comes with a strong dose of wisdom, from having been there and done that.